Tired of tracking mud into your pristine ride and staining your custom or factory carpet? If so, we've got the cure for you! We carry one of the most protective, stylish, and durable floor mats on the market. The WeatherTech All-Weather floor mats are available for pickup trucks, SUVs, minivans and cars. They are made out of heavy-duty rubber, formed to stand the test of time. All Weather floor mats protect in extreme weather conditions, with the deep sculpted channels trapping water, road salt, mud, and sand. 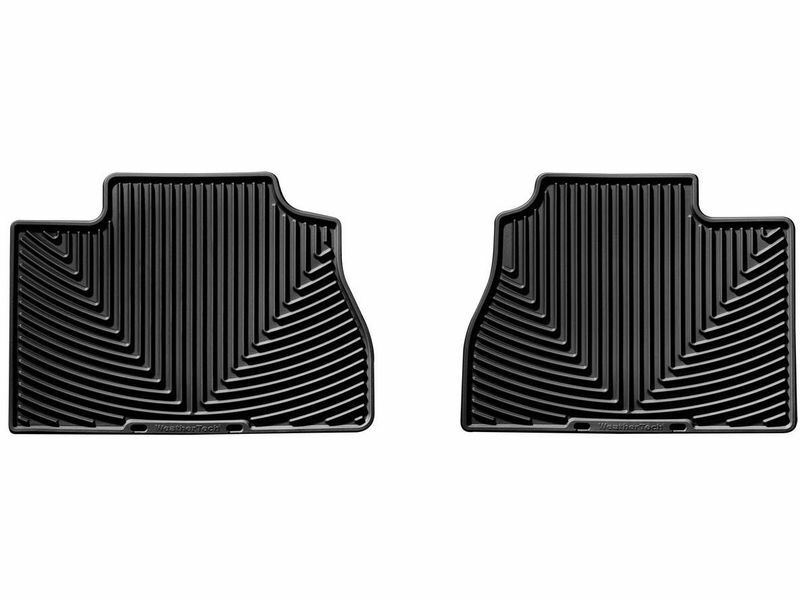 Made of a high density tri-extruded composition featuring a strong polyethylene core sandwiched between durable top and bottom layers of TPE thermoplastic material, these vehicle floor mats won't curl, crack or harden in sub-zero weather. Anti-skid ridges prevent the floor mats from shifting and offer a protective, non-stick finish, ensuring easy maintenance. WeatherTech All-Weather floor liners are available in 3 different colors including gray, black and tan. Offering a semi-custom fit, these floor liners will fit most vehicles out there with minimal trimming required. They offer both style and function too many different vehicle applications. When you speak of interior vehicle protection, the brand "WeatherTech" should come to mind. They design and manufacture some of the finest floor mats out there, with their All-Weather floor mats being no exception to this! Durable and protective rubber co-existing with easy maintenance makes for a win, win situation! This product offers an easy, at home installation. Simply take out old floor mats and replace with the WeatherTech All-Weather floor mats. (Trimming required on some models) There is an installation manual that is sent with the product and offers clear cut and easy to read instructions. For additional information, please call us toll free at 1-877-216-5446 or 701-253-5906.